Great job Great job J-Dub (@Dubsism), Brent (@jonbrent13), Todd (@TSmith6785), Melanie (@melanieofoz), and Rex (@CAjurist)!!! Great job J-Dub, BUM (@brandongutie), and Jim (@JimVilk)!!! 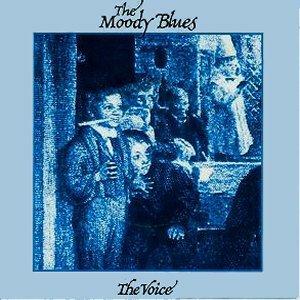 At this point, I had still not heard of The Moody Blues. My introduction to them would not come until 1986 with “Your Wildest Dreams“. This song started off promising. But when Styx didn’t chime in with Domo arigato, Mr. Roboto, I was disappointed. This isn’t a bad song. I can see how it got by me, though. I appreciate it more now then I would have back then. Marty Balin was a founding member of Jefferson Airplane/Jefferson Starship. He left the band in 1978. Since the only songs I know by that band from that era are the ones Grace Slick sung, I was not familiar with Marty Balin. This is another middle-of-the-road song for me. Not horrible, but not that good. But, now we will be leaving my uncharted territory, and start getting to more familiar songs. 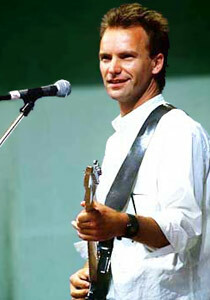 I know a lot of people love Sting’s solo career. But, I really love these days when he was teamed up with Andy Summers and Stewart Copeland. This is a classic Police tune from their album Ghost in the Machine. This was The Commodores’ last hit single with Lionel Richie in the band. This is another favorite of mine. It is just as good, if not better, than some of Richie’s other ballads. This song was also featured in the 1982 movie The Last American Virgin. This country-crossover hit was written by written by Hank DeVito, the pedal steel guitarist in Emmylou Harris’ backing group The Hot Band. Juice Newton made this a smash hit, reaching up to #2 for two weeks, being kept out of the top spot by “Endless Love” by Diana Ross and Lionel Richie.Juice Newton earned a 1982 Grammy nomination for Best Female Vocalist in the C&W category. This is another smash hit which peaked at #2 on the charts. This power ballad from Foreigner’s classic 4 album, was in the number 2 position in the week of November 28, where it was held off the number 1 spot by Olivia Newton-John’s “Physical” for nine consecutive weeks, and then by Hall & Oates’ “I Can’t Go for That (No Can Do)” for a tenth week on January 30, 1982. Time to get funky! This classic R&B hit earned Carl Carlton a Grammy Award nomination for Best R&B Vocal Performance, Male. If you are friends with a Bruno Mars fan, point them to this song to see what it’s all about. To prevent confusion, this song was originally released as “Here I Am (Just When I Thought I Was Over You)” so as not to be confused with the group’s No. 1 hit song “The One That You Love” which contains the lyrics: “Here I am, the one that you love.” It didn’t work with me because I still got confused. When I was in junior high school, I was in a Catholic school. When we had dances, we had them in one of the classrooms, and moved the desks off to the sides of the room. One of the mothers would “dj” by playing tapes and albums on a stereo that somebody brought in. Whenever they wanted to play a slow song, it was always an Air Supply song. 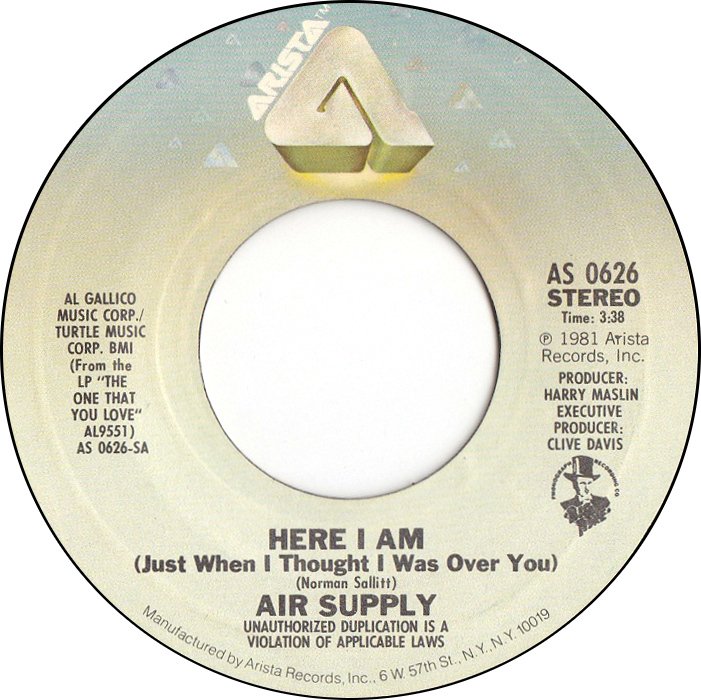 So these Air Supply songs bring me back to that time. In addition to this smash hit that earned Mike Post a Grammy for Best Instrumental Composition, you may know this legendary music producer’s other work in television shows such as Law & Order, Law & Order SVU, The A-Team, NYPD Blue, Renegade, The Rockford Files, L.A. Law, Quantum Leap, and Magnum, P.I. As we drive off in tears at the end of the countdown for the day, let’s listen to the awesome, but sad, ballad by Quincy Jones and James Ingram. This song was featured in The Last American Virgin as Diane Franklin broke Gary’s and our hearts. That wraps up today’s list of songs. I hope you are enjoying this. Let me know what you think so far. We are already halfway done. Come back tomorrow to see what other awesome songs were topping the charts this week in 1981. Great job Jim (@JimVilk), Karina (@WillieSun) and Andy (@andytorah)!! !